QMMS offers FIVE main services to the dairy industry. Our Milk Recording service varies from ad hoc testing of occasional samples through to a full milk recording service compliant with all of the latest industry standards. Our service is unique in that it is focused on delivering management advice aimed at improving business profitability and not on identifying the ‘best’ or ‘worst’ cow in the herd. Our service if fast, flexible and competitively priced. Our milk antibody testing for Johnes Disease uses the IDEXX ELISA and testing can be carried out in conjunction with your QMMS milk recording or independent of your regular recording service. The testing frequency can be tailored to the requirements of your herd (you are not 'locked in' to quarterly testing) and we offer a ‘selective’ testing service to reduce testing frequency for cows at reduced risk - based on published research. Our Bacteriological Analysis service exceeds all current national and international standards and is centered on a sound, evidence based, scientific approach. Our team has extensive experience in the laboratory based identification of mastitis pathogens and is backed by RCVS Specialist veterinary interpretation. 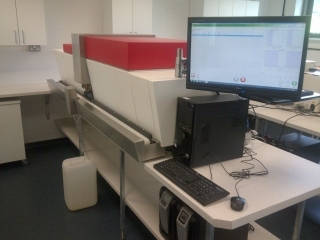 We regularly analyse both individual quarter and bulk milk tank analyses, as well as offering water testing. At QMMS we regularly offer Consultancy Advice to all aspect of the dairy industry. We are available to offer impartial RCVS Recognised Specialist advice working in close collaboration with the attending veterinarian where appropriate. 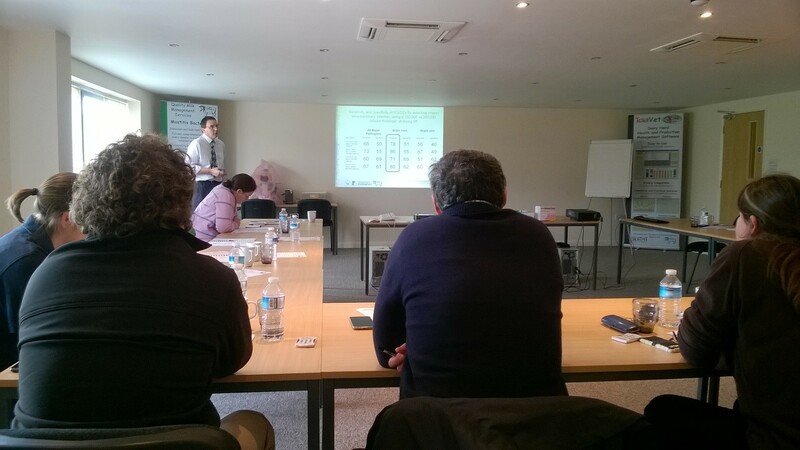 One of the strengths of QMMS is our involvement in the ‘cutting edge’ of mastitis research and the application of our findings in the field. Our involvement in research ensures that we are able to deliver evidence based services which the user can be sure are based on sound science. As well as performing ad hoc milk testing (butterfat, protein, lactose, somatic cell count and non-protein nitrogen (urea)) we offer a DIY milk recording service that can be tailored to your specific needs. All analyses are performed according to the guidelines of the International Committee of Animal Recording (ICAR) of which QMMS Ltd is a Full Member. Our milk recording service has been audited and has achieved the ICAR Certificate of Quality. 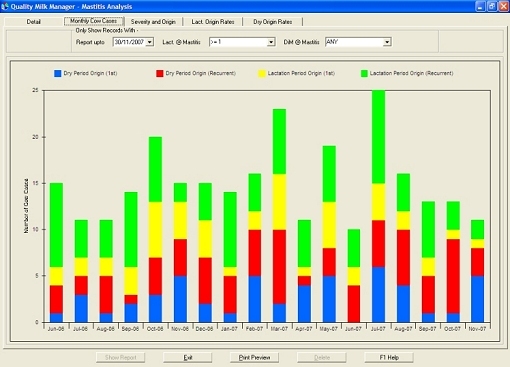 Our milk recording service includes basic on-farm management software at no additional cost (software developed by SUM-IT Computer Systems to QMMS Specifications). Milk recording samples can also be processed for Pregnancy Associated Glycoprotein (PAG), an indicator of early pregnancy in dairy cows. Samples submitted for milk recording can be selected out to confirm PD+ status in cows that are approaching drying-off to compliment the routine fertility work offered by your veterinary surgeon. Please ask for more details. Johne’s disease is the clinical syndrome of end-stage infection with the bacteria Mycobacterium avium paratuberculosis or 'MAP' for short. Whilst many infected cows never go on to develop the classic signs of extreme weight loss, infected cows are very likely to have reduced performance and are very likely to shed bacteria in dung and milk. Shedding of bacteria poses a huge infection risk to young animals and therefore segregation of infected cows around calving is an essential step for reducing prevalence. Milk ELISA tests offer a rapid, cost effective and valuable method of monitoring the herd prevalence of MAP infection, allowing timely and evidence based implementation of control strategies. Individual cow milk ELISA testing allows you to screen cows for antibodies to infection and highlight positive cows (and therefore those likely to be infected) and manage them differently to break the cycle of transmission. Currently negative (all tests negative or previously tested positive once but have subsequently tested negative on three consecutive occasions). As milk ELISA testing will result in some apparent positive results being ‘false’ positives, particularly in low prevalence herds that test relatively frequently, culling a cow based on one positive test result is not recommended. At least two positive tests should be obtained before making definitive decisions as this will increase the certainty that the cow is infected. As with our milk recording and bacteriology services, the MAP ELISA service is backed by Royal College of Veterinary Surgeons Recognised specialist advice, helping with interpretation of results and enabling a unique ‘joined-up’ approach to the control of Johne’s disease in your herd. The suggested QMMS protocol has a strong evidence-base and outlines our interpretation of the latest research evidence on the application of milk MAP ELISA’s and may therefore change as more research in this area is published. Full integration with on farm software is available in conjunction with SUM-IT Computer Systems. In the absence of compatible on farm software your results will be emailed as .pdf files reporting both your current and historic results. We offer a full range of bacteriological analyses from individual cow samples to bulk tank analyses, as well as water analysis. We aim to tailor bacteriology to the individual farm, ensuring that we make cost effective use of your investment – we won’t sell you tests you don’t need. Our individual cow bacteriology exceeds the recommendations of the National Mastitis Council (NMC) and is designed to maximize the opportunity of isolating and identifying the problem pathogens on your farm. Our individual cow bacteriology uses a full range of laboratory tests and a standard 72 hour incubation period to identify causal bacteria and does not make ‘presumptive’ diagnoses. As with all our services, results are backed by RCVS Recognised Specialist veterinary advice. Samples that are collected from clinical cases and/or high somatic cell count cows arrive at the lab and are plated out onto different media to enhance recovery of pathogens, particularly E. coli and Streptococcus uberis. Growth of bacterial colonies occurs from 24 hours - but can take as long as 72 hours for some species. 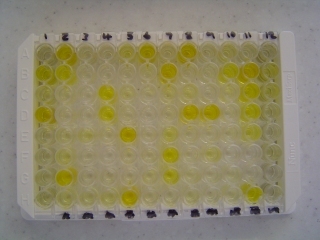 Initial diagnosis is made using bench tests before colonies are transferred to MALDI-TOF for definitive diagnosis. Interim reports are made available from 24 hours if required - final reports are sent after 72 hours incubation by email. QMMS offers Mycoplasma culture and speciation, although this carries a minimum of 2 weeks turn around. Bear in mind that some Mycoplasma bacteria are less pathogenic than others. 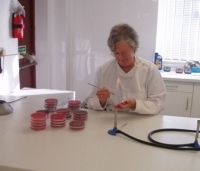 Whilst samples are incubated for Mycoplasma culture, standard bacteriology testing is also carried out to rule out involvement with other pathogens. This is a difficult question and the answer is not straight forward. In reality it depends on what pathogens you are looking for. For contagious pathogens that are ‘specific’ to the udder, such as Streptococcus agalactiae and to a lesser extent Staphylococcus aureus this can be a useful screening exercise (though the former is now very rare in the UK). It can also be a useful way to screen a herd for the presence of Mycoplasma spp. However, for most bacterial species (particularly environmental organisms) bulk tank bacteriology is NOT useful as the organism is unlikely to have originated from another infected cow. 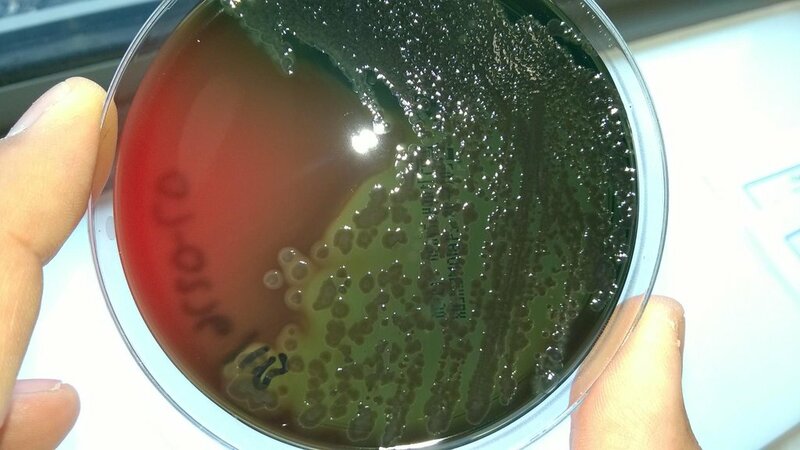 That said, on occasions the presence of large numbers of Streptococcus uberis in a bulk milk sample can reflect the presence of an infected cow in the herd. We’re starting ‘selective dry cow therapy’ – should we do some bacteriology? If so what’s appropriate? We recommend strategic sampling of some high SCC cows in late lactation to better understand the pathogens you need to cure at drying off and of clinical mastitis cases in early lactation to get an insight into the main pathogens causing new intramammary infection in the dry period. A bulk tank sample is NOT an appropriate way to approach or justify blanket antibiotic use at drying off.